Most of the time when a person suffers from pulled muscles or a back out of alignment — the signs of aging — she’s inevitably given a tube of balm along with a treatment by a physical therapist or a chiropractor, perhaps a massage specialist. The tube is a receptacle of magic bullets reputed to stem the tide of pain and aging. 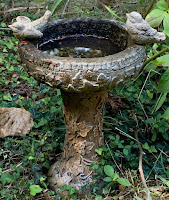 Yesterday, after four or five days of treatments, including the tube of balm, for an unrelenting attack to my back and leg, I went out on the front porch and applied my personal brand of balm: watching birds splashing in a freshly-filled bird bath under the towering hemlock in my yard. Hidden away in the understory were several species that flew in for a bath and directed my attention away from ailments — nuthatches, tufted titmice, a Carolina wren, and, finally, the premier birds of my notice: both male and female cardinals. Absent from the line-up were my favorite crow friends who’ve made only sporadic appearances on the Mountain this year. The smaller perch birds stayed busy pushing each other out of the bath while the cardinals looked on in disdain and never entered the water, but they managed to make themselves heard by their “cheer, cheer” voices from a thicket near the drive. 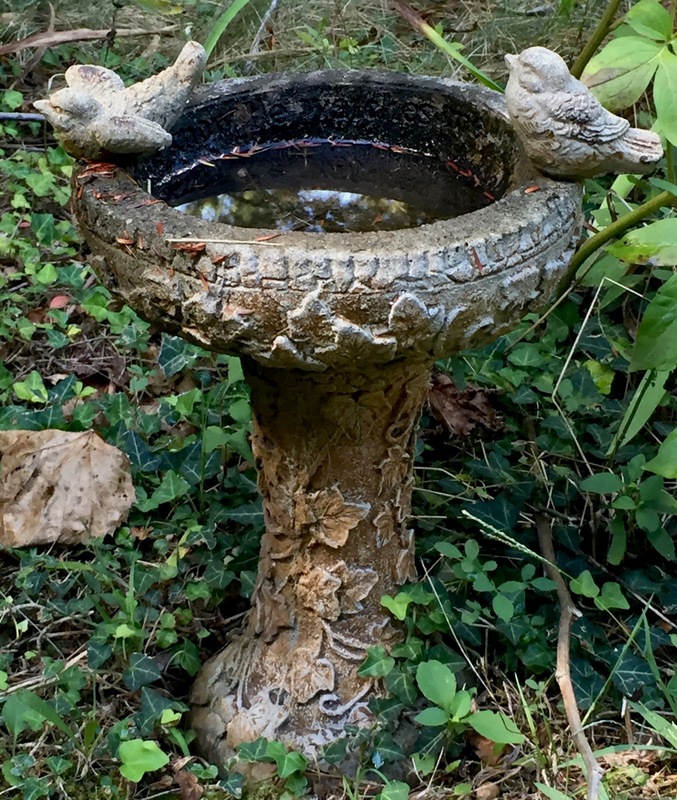 As I watched, the cardinals would swoop out of their lair and land near the bird bath but avoided disturbing the perch birds, just as the perch birds avoided these aggressive red beauties that are confident of their territory near a tangle of blackberry bushes. I’ve written many poems about birds — crows, cardinals, sparrows, and hawks. The hawk was a powerful figure clinging to a telephone wire on my drive to work in Lafayette, Louisiana every day for years. It hovered over the sugarcane fields, waiting for a chance to swoop down on field mice. The hawk also appeared as the totem for a character in Martin Finds His Totem, my young adult book about a boy traiteur in Cajun country. On my daily drive, the mornings that the hawk wasn’t clinging to the wire, I often felt a bit anxious, as if the day lacked a solidness I couldn’t explain. perfect intervals before the resurrection. like memory rustling in stunted cane. chorus witness to a new beginning. The list of specialized words was long, and I leave it to the reader to apply the words to whomever they wish, since I’m not in the habit of writing political columns and am more inured to writing book reviews, travelogues, agricultural treatises, etc. My review of Easy To Increase Your Vocabulary brought in a “Red Apple,” or the equivalent of an A+, and was hardly a propitious reference for the hard news story, but it was a fun exercise explaining the trade vocabularies of cowboys, politicians, baseball players, and circus clowns (the latter reminiscent of the politicians’ vocabularies). One more phrase Morris described that may belong in the political realm is “crocodile tears.” It seems that crocodile tears originated in Greek and Egyptian folklore. The legend is that the great lizard, the crocodile, attracted its victims by loud moaning and then shed tears while it devoured them. And with that description and, in the word of H. L. Mencken, American humorist and critic, I’ll put a “kibosh” to this diatribe about words that are created to fit special needs in a colloquial paradise. Karen relates all of the above and more in a special afterword to my book of poetry, A Slow Moving Stream, from which I’m scheduled to read next month as one of the selected, featured poets at the Louisiana Book Festival in Baton Rouge, Louisiana. 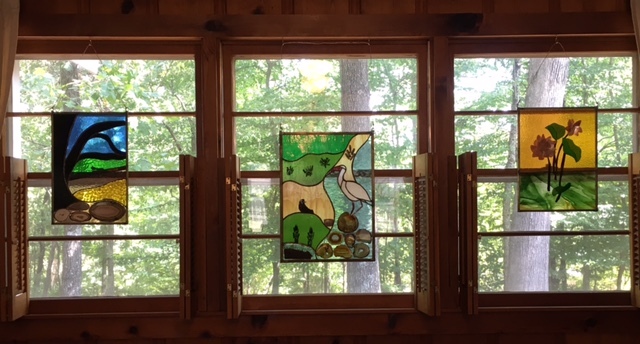 The oak tree in the glass piece is the most dominant feature, and Karen says that the oak, a protector and stabilizer, is ever present in Louisiana Acadian iconography. The stark image aptly represents a poem entitled “The Mind of Trees” included in A Slow Moving Stream. Karen, who worked in the field of medical technology for years, began creating glass art as a hobby, but soon achieved a professional level of success with her work, both as a glass artist and as a writer of sensitive texts that describe the glass pieces. 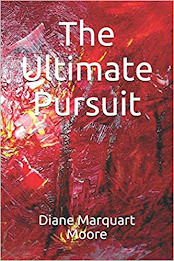 Her biggest admirer is husband, Darrell Bourque, former Poet Laureate of Louisiana and Louisiana Writer of the Year, whose latest poems, paired with the paintings of Bill Gingles, are contained in Where I Waited, published by Yellow Flag Press. Karen has created covers for four of my books of poetry, as well as a book of essays: A Strand of Beads, A Lonely Grandmother, Street Sketches, Porch Posts, and the latest volume of poetry, A Slow Moving Stream. Several of the books have included either an introductory description of Karen's glass piece, or an afterword describing the work on the cover especially written by her. Yesterday’s encounter with Karen’s glass images inspired me with enough light to anticipate “new beginnings and happiness,” and I’m most grateful for her artistic gifts. The one poem I’ve written lately, which will appear in the fall/winter issue of The Pinyon Review published by Gary Entsminger in Montrose, Colorado, will have to suffice to inspire Karen to create a glass piece entitled “Pandora’s Legacy” that I hope to acquire next year.